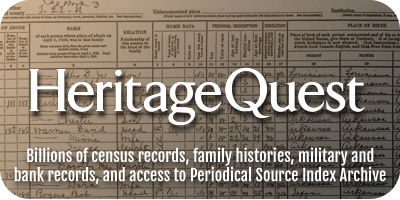 With a robust search interface, thumbnail images, hit highlighting, easy-to-use tools, and convenient in-library or remote access through the library portal, it’s easy to see why HeritageQuest continues to be one of the most recommended resources by family history publications and genealogists. The clues are out there waiting. Let HeritageQuest Online help you to find them.